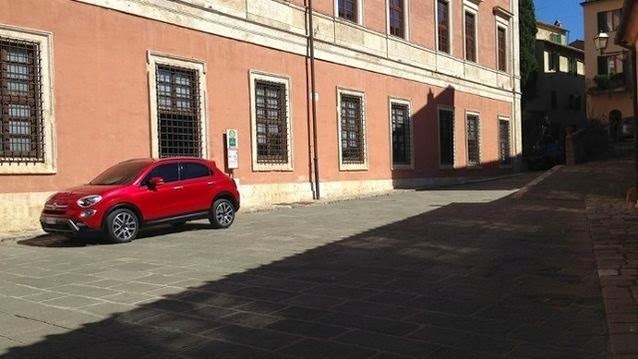 Fiat's next model, the 500X, has been leaked. The SUV will ride on the same chassis as the upcoming Jeep Renegade. You can see a distinctive Fiat front fascia and a more rounded appearance vs. the ungainly 500L. We don't know a whole heck of a lot about the 500X, but assume it'll be powered by the 1.4-liter MultiAir turbo engine found in the 500L and Jeep Renegade. The car is set for an October 2 debut at the Paris Motor Show. While we haven't seen any other "real" photos than this, I'd say that if the Fiat 500L is controversially styled, the 500X is not. It's much more mainstream looking and should have mass appeal in crossover-crazy America.